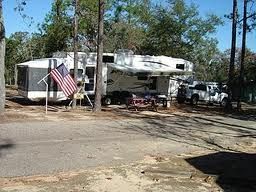 The Styx River Resort is considered the best RV Park in Alabama and there are many good reasons why. Started in 1983, this Alabama RV resort has won awards and recognition for being one of the best outdoor resorts in the U.S. Not only can RV members hook-up in beautiful woodland surroundings, they have access to an impressive array of resort amenities and features as well as easy access to all the fun and entertainment at the beaches on the Gulf of Mexico. You will find RV resort memberships for sale here on the resale market that allows you to join the best RV park in Alabama and have a great vacation every year. If you are not an RV owner, it is not a problem. Just join and stay in one of the beautiful and well-appointed cabin rentals or enjoy tent camping. 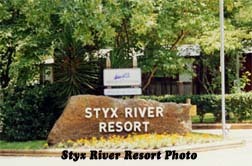 However you like to spend your outdoor vacation, you can’t do better than the Styx River Resort. Whether you want to relax in the shade of the trees, participate in all the beach activities such as water sports, fishing, beach volleyball or more, you will not be disappointed. Styx River Resort offers plenty of features to keep you and your family busy such as a large clubhouse where you can meet friends, play bingo in the evenings or participate in other planned and unplanned activities. There are two swimming pools, one indoor and one outdoor, a restaurant that features delicious home style cooking, a recreation room for kids as well as a playground and plenty of sport’s courts. The natural surroundings are so beautiful you may feel like following one of the many nature trails that wind through the forest. The resale market offers RV resort memberships for sale that give you the opportunity to join this top-rated Alabama RV resort and enjoy a refreshing vacation in the great outdoors that also includes features and amenities you look for when you plan a relaxing and fun vacation. The Styx River Resort can be your new vacation home and the perfect place to park your RV to enjoy all the Gulf Coast has to offer. Contact Styx River Resort Specialist Today!